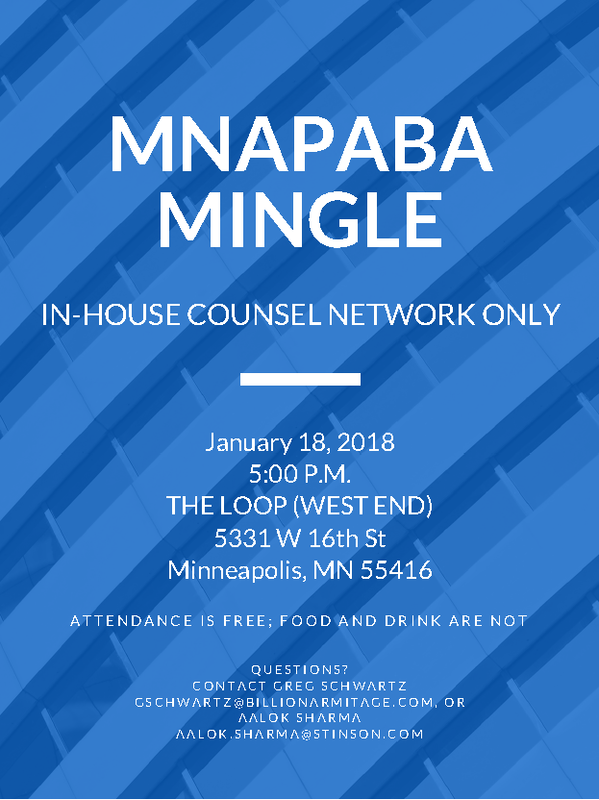 Please join your fellow in-house MNAPABA members for some informal networking. Please note this event is limited to in-house members or those strongly considering a transition to in-house (i.e. the MNAPABA In-House Counsel Network).